I am mainly a cereal eater for breakfast with the odd bagel or cup of yogurt thrown in. When it comes to "traditional" breakfast food, I prefer to eat them for dinner. I'll eat pancakes, eggs, bacon, sausage, fried potatoes, etc., for dinner any day of the week. One of my favorite breakfast meals that I like to eat for dinner is a pan seared ham steak with salsa eggs. This is not a complicated recipe and you prepare it how you'd like. I will list the ingredients (without measurements) and an overview of preparation. This is one of those meals that you cook to how you like it. I even make it slightly different each time. I suggest cooking your ham steak first. Even though it doesn't take very long, you do not want to run the risk of your eggs getting cold. Make sure you a little oil in the skillet because ham steaks tend be lean so you will not have a lot of fat available to prevent the steak from sticking. I mix my eggs, cheese, salsa, salt, pepper, and parsley together in a small bowl. I use butter to grease the skillet so the eggs do not stick. You can cook the eggs scrambled, omelet style, or simply light fry them. It's up to you. 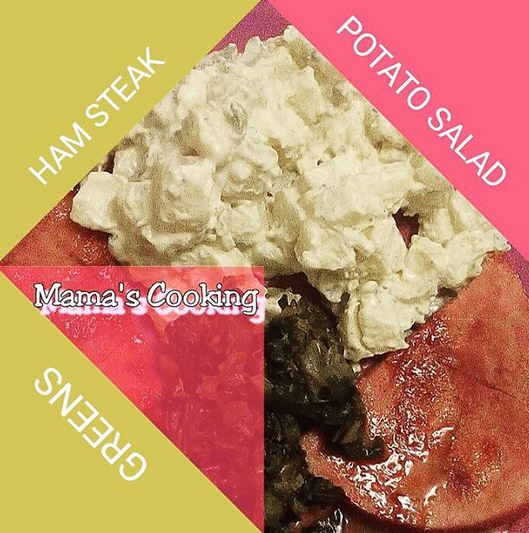 I also make ham steak with fried potatoes and pancakes. I really like them for quick meals when you have little time on your hands. If you haven't tried ham steaks, give them a whirl. They are tasty and cook quickly.